Costly Wars, Elusive Peace spans the first two decades of armed conflict and peace building in post-Marcos Philippines. It provides incisive assessments on the major armed conflicts in the country as well as the highs and lows of the peace negotiations with the Moro and communist armed groups as these happened from one administration to the next. 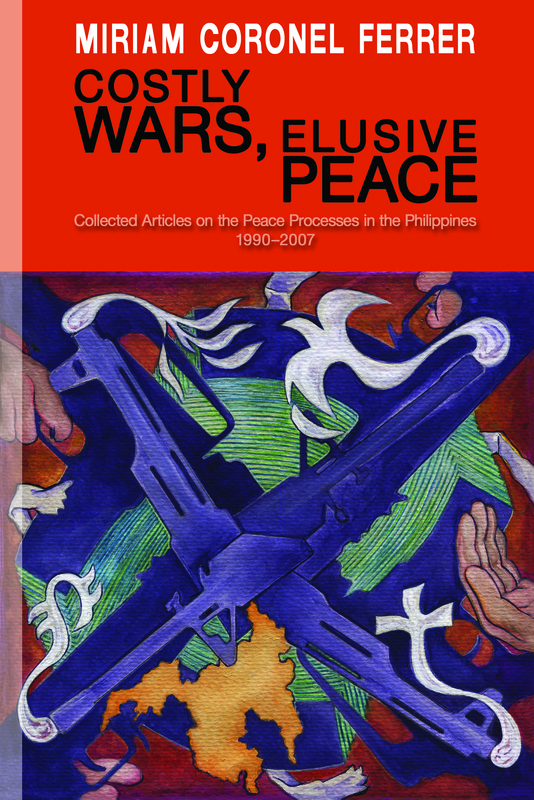 Articles on the debates within the ranks or between the protagonists, the roles played by civil society organizations and other third parties, the integration of combatants, the unfinished reconstruction of regional autonomy in Mindanao, and development and international assistance reflect on the other dimensions of a country grappling with the intricacies of its own wars and traversing its own paths to peace. MIRIAM CORONEL FERRER is a professor of political science at the University of the Philippines Diliman. She joined UP as an editorial assistant of Diliman Review in 1986 and later as member of the faculty in 1992. At UP, she held various posts such as director of the UP Third World Studies Center and convener of the Program on Peace, Democratization and Human Rights of the UP Center for Integrative and Development Studies. She continues to be involved in various research, writing and advocacy projects in and out of the academe. For her work in the International Campaign to Ban Landmines and the promotion of humanitarian law in various conflict contexts, she was nominated as part of the collective group of 1,000 women for the 2005 Nobel Peace Prize. In July 2010, she was appointed by President Benigno Aquino III to the Philippine government’s peace panel that is conducting negotiations with the Moro Islamic Liberation, and became the chief negotiator in December 2012.